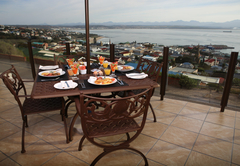 Bar-t-nique Guest House is a 4 star graded guest house offering Mossel Bay accommodation in 9 guest rooms. 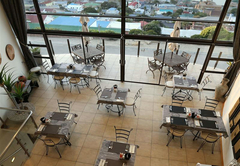 Bar-t-nique is situated high on the hill overlooking historic Mossel Bay, with its magnificent panoramic views of the harbour, Indian Ocean and distant Outeniqua mountain range. 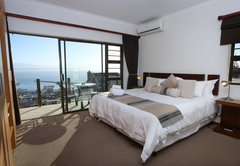 We offer top quality accommodation in 9 modern comfortable sea facing bedrooms. 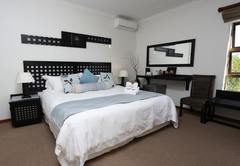 King-size bed, en-suite with bath and shower, Dstv, tea/coffee making facilities, hairdryer and security safe. 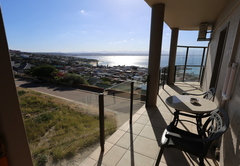 Own balcony. 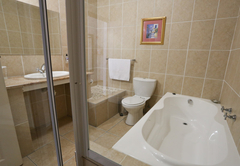 Twin single beds, en-suite with shower. 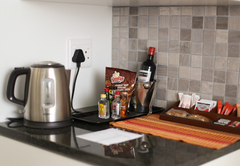 Dstv, tea / coffee making facilities, hairdryer and security safe. 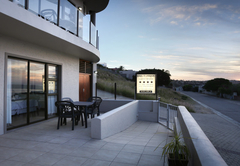 Own balcony. 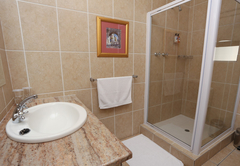 King-size beds, en-suite with shower. 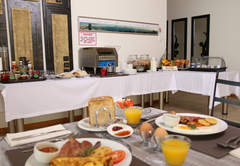 Dstv, tea / coffee making facilities, hairdryer and security safe. Own balcony. 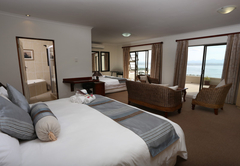 King-size beds, en-suite with shower and bath, Dstv, tea / coffee making facilities, hairdryer and security safe. 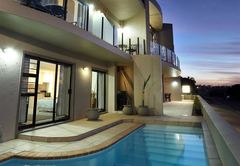 Own balcony. 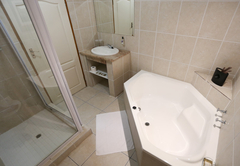 King-size bed and two single beds, en-suite with bath and shower. 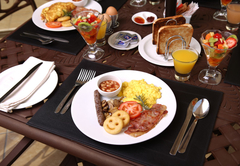 Dstv, tea / coffee making facilities, hairdryer and security safe. 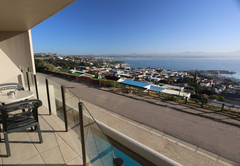 Own balcony. 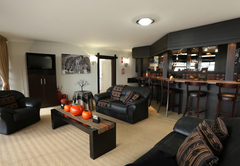 Has a kitchen with a bar fridge, microwave and microwave oven, kettle and toaster. 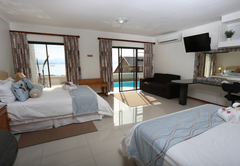 1 double bed and 1 sofa bed. 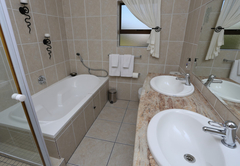 En-suite bathroom with bath and shower. Tv. 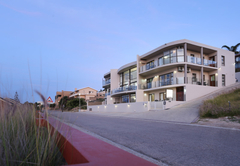 Sea view. 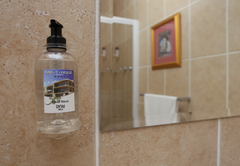 Guest amenities include a swimming pool, honesty bar and guest lounge. 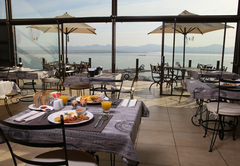 A full breakfast is prepared each morning between 07h00 and 09h00 and is served in the dining room which has unsurpassed views of the harbour and ocean. 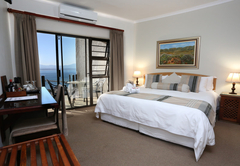 Mossel Bay lies halfway between Cape Town and Port Elizabeth in the heart of the Garden Route. 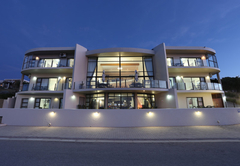 A very busy holiday resort in summer and the ideal retreat in Winter. 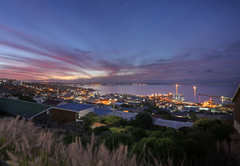 Mossel Bay is said to have the mildest all year climate in the world, second only to a small town in Hawaii. 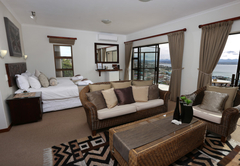 Twin/King bedded room with en-suite bathroom with shower, balcony, DSTV, tea & coffee making facilities, hairdryer and digital safe. 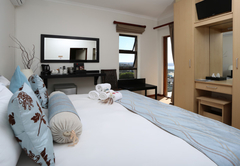 King Bedded room with en-suite bathroom with shower and bath, private balcony, DSTV, Tea & coffee making facilities, hairdryer and digital safe. 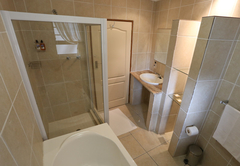 En-suite bathroom with shower and bath, One king bed and two single beds, balcony, DSTV, Tea & coffee making facilities, hairdryer and digital safe. 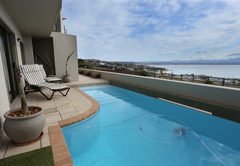 Sea facing room leading out on the pool. 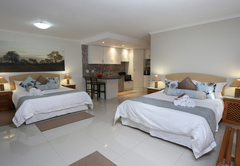 2 Double beds with small kitchenette. 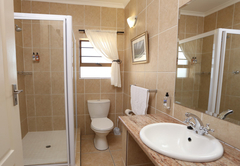 En-suite bathroom with bath and shower. 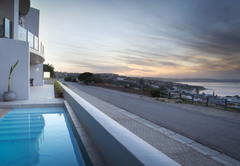 A stunning house with gorgious views. 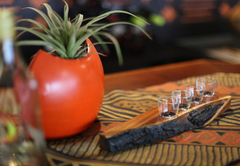 the tasteful decor and wonderful service was commendable. 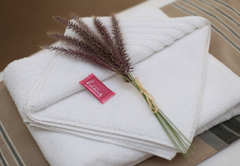 A truely 5 star B&B. 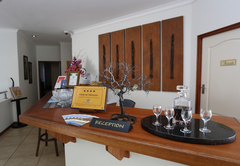 Response timeBar-t-nique Guest House typically responds to requests in 5-10 minutes.